With the craze for stomp boxes ever growing the overdrive pedal has never been more popular and there are literally hundreds if not thousands of variants to choose from. I figured a new design of amp could be beneficial for lovers of pedals. 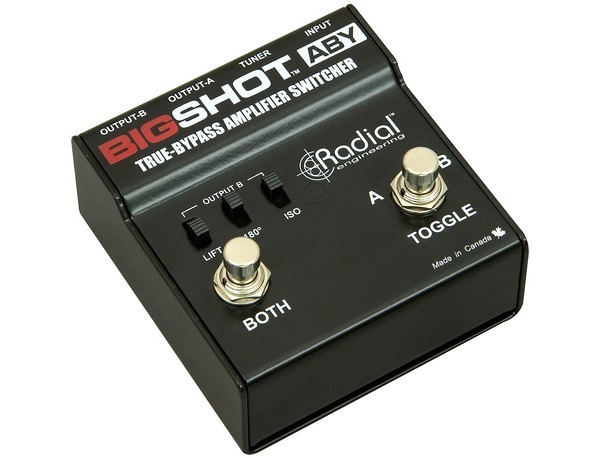 You may have experienced this - you get your amp set up for a great clean sound then you hit the drive pedal and the tone is too fuzzy or has too much mid so you want to adjust the amp again and bang goes your amazing clean tone. The 'Jazz & Blues' is a 45 watt single channel amp with remote voicing that can switched when you select your drive pedal. The Jazz & Blues also has an FX loop located right at the front end of the amp right after the first valve stage, which is configured as a unity gain buffer. Your pedals get the right signal level and your guitar sees the amp directly regardless of how many FX you have switched in. There's no loss of tone and you can even put drive pedals in the loop. And your guitars' volume and tone work consistently without being affected by the first pedal in the chain. This past week I had two conversations with guitarists about pickups. Both players believed that the "ohms" was a measure of how the pickup would sound. One also believed that 'hotter' was better. Given some of the marketing techniques employed by pickup manufactures I guess this an easy assumption to make. Pickups are seldom described as 'full', 'muffled', 'thin' or 'boxy' even though these descriptions might be more representative than say 'hot', 'warm', 'vintage' or 'mellow'. In the 70s when I first 'discovered' replacement pickups, the only models my local music shop stocked was the Dimarzio Dual Sound Super Distortion. I ended up with three of them installed in my Strat copy along with a switch to coil tap all of them at once! Since then the replacement pickup market has ballooned so you can now choose from infinitesimal numbers of designs and over the years I've tried more than my fair share of them. And what I've found is that I've gone for lower and lower output pickups because I can hear more of the tone of the guitar. When shopping for pickups there's always the temptation to go for the "vintage spec but over wound for more balls" because you feel you're getting a better product; more for your money. Certainly high output pickups are great for very overdriven tones because of the way they drive the amp but I have found that the lower output ones make better guitar sound. So why is this? Electronically speaking a pickup is a second order low pass filter. This means it has a resonant peak just below ( in frequency ) the cutoff frequency of the filter. This is mostly what defines the tone of the pickup. Above the resonant peak the output of the pickup rapidly falls away to nothing. High output pickups have a lower resonant frequency than low output pickups, so they reproduce much less of the harmonic spectrum of the guitar. 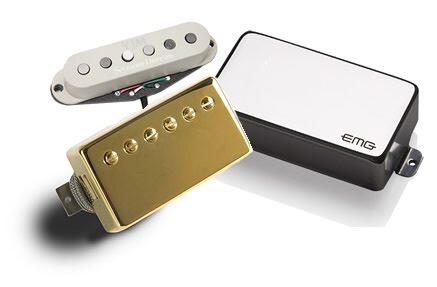 Lower output pickups have an extended frequency response and reproduce more of the higher order harmonics. At this point it's worth mentioning the effect of load impedance on the tone of the guitar. 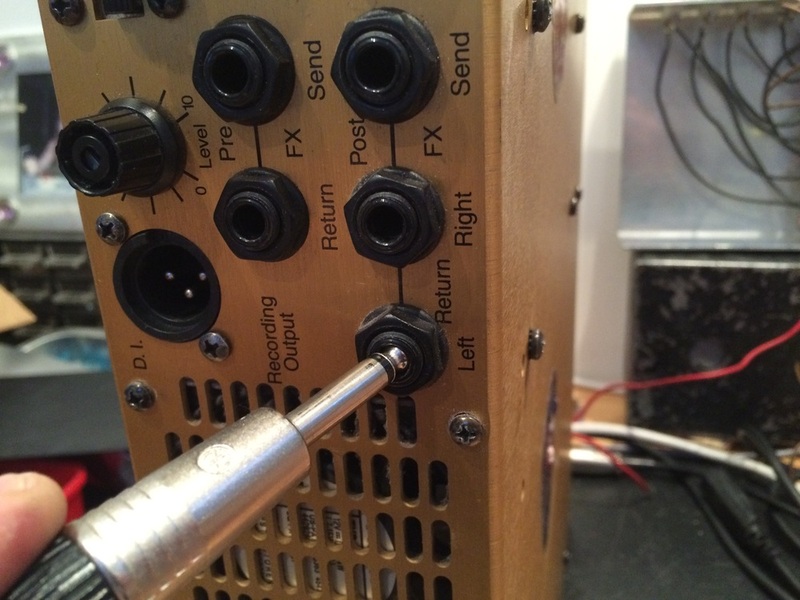 The load is basically the resistance of the volume pot(s) in parallel with the input impedance of the first thing connected to the guitar. The lower (in ohms) the load on the pickups the smaller the size of the resonant peak. The higher the load resistance the greater the size of the peak. The device at the end of the guitar lead also works with the capacitance of the lead to gentily roll off some of the higher frequencies. It's worth recognising all these factors and their effect before deciding your pickups sound below par. 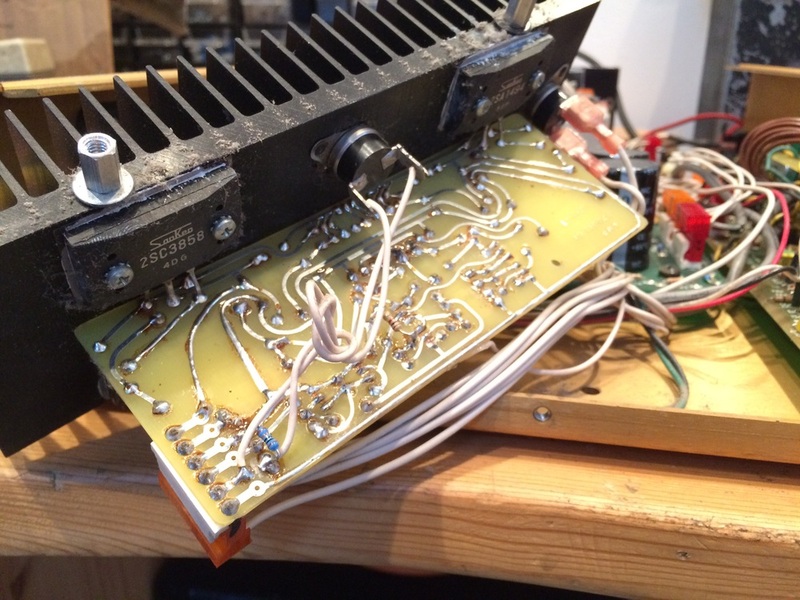 It may also explain why your tone varies when you use different leads and pedals. One way to ensure a consistent tone is to always use the same lead and if you're using a pedal board make the first pedal a buffered one. All our bespoke faceplates are made one at a time. Since then there has been a huge shift in the way audio equipment is judged, not just on it's measured audio performance, but on it's sound. Words such as fat, open, warm, airy and woody get used on regular basis to described how a piece of equipment sounds. 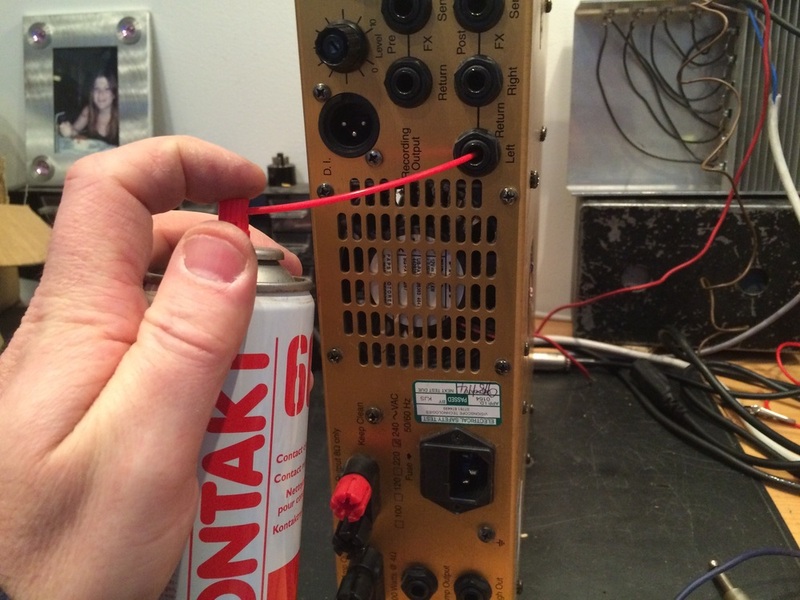 This week I finished building two amplifiers - a Ruby+ and a Classic 50 - my take on a Hiwatt DR504. As part of the test process I give my amps a 'road trip'. 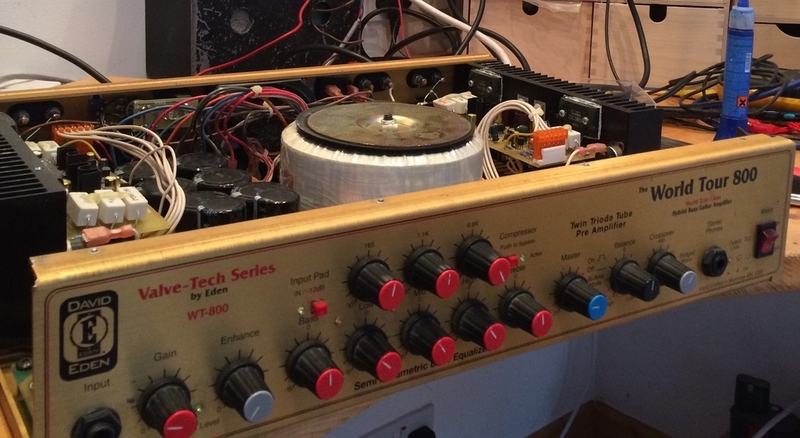 This morning I spent a couple of hours evaluating this amplifier for a customer who wants to sell it. The guitarist plugged in his strat, turned up the amp and started to play some bluesy licks. I was totally blown away with the tone and creamy but articulate tone! And when he backed off the volume control on the guitar he produced the most wonderful chiming clean tone.